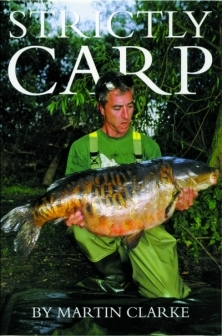 Martin Clarke is one of the most successful carp anglers England has ever known. His outstanding list of specimen fish include over fifty thirty pound plus English carp and seven true English forties. He has fished most of the well known circuit waters and has also been successful in Romania, France and Holland. Martin is a consultant for Solar Tackle and writes regularly for the Big Carp ‘Rotary Letter’ and ‘Bait Debate’.